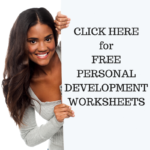 There are many layers and complexities of self-improvement and personal development. Meditation is an amazing tool to look at yourself in truth and discover the habits and patterns of the mind and then delve more deeply into the void of the inner self. First choose a topic you want to improve. That could be anything you want to change in yourself and/or in your life. Write it down. How does your environment affect you – in relation to the topic? How does your family affect you – in relation to the topic? How does your job affect you – in relation to the topic? How does money affect you – in relation to the topic of change? What beliefs do you currently hold about that topic of change? What emotions are you feeling about that topic of change? Take time to explore the questions and write down your answers in as much detail as you can. And then put the piece of paper/notebook down for a few days. THEN, in a few days time read what you wrote down and then write down MORE that comes to mind. Once you feel that you’ve explored the topic in detail choose 5 different ways in which you can make changes to it. Put aside the time to meditate specifically on this topic of change. In your meditation imagine the topic fully in all its complexities and observe it in its current state. Then, imagine how it changes as you add the 5 ways of change to your imagining. Continue to sit in your state of meditation and observe the changes. Fully realise that through this meditation process you’re seeing changes within yourself and your reality. In the following days and weeks keep a notebook of the changes you’re seeing in your life. Make sure you’re writing in it the exact moment you’re seeing the change. Please note: This process can take a few days, weeks or even months. It’s important that you’re able to visualise the complexities in detail so don’t skip the Write it down stage. This is one of the most amazing techniques for personal development and self-improvement. All it takes is a bit of dedicated time and focus. 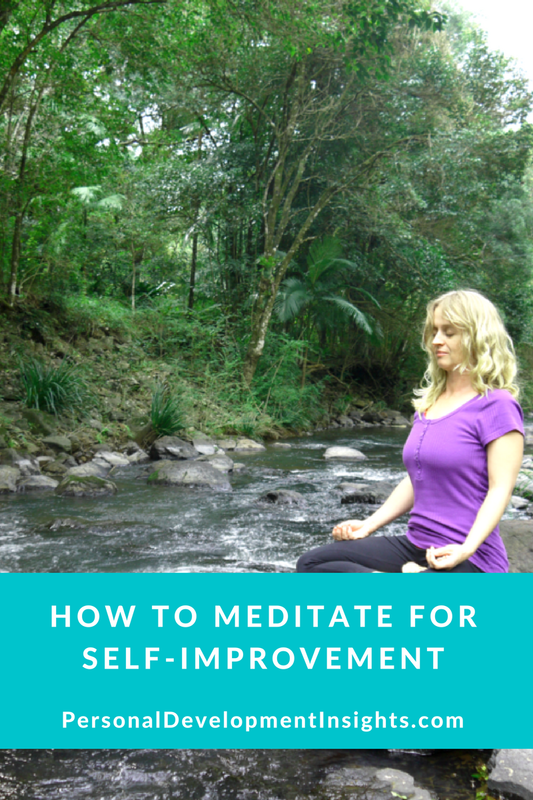 This entry was posted in Personal Development Tips, Self Improvement and tagged how to meditate, how to meditate for self improvement, meditate, personal development, self improvement. Bookmark the permalink.